If you’ve watched any pro football this year or any of the major league baseball post season, unless you’re skipping the commercials, you’ve heard about FanDuel and DraftKings. Online fantasy gambling has taken America by storm, some claiming it will be a $2 to 3 billion dollar year for them. That’s a lot of gambling, but not here in Iowa. Iowa is only one of five states where it’s illegal to bet on fantasy sports. 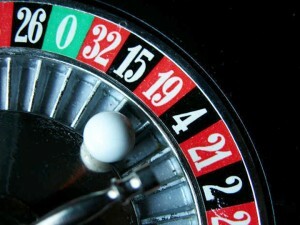 The Globe Gazette recently ran a piece stating Iowa had dodged a bullet by not partaking in this legal form of gambling. Have we? Really? Iowa has legalized many types of gambling in the last few years, as I believe is our right. The state legislature has the power to control gambling in our state, as it should. As of right now, Iowa has decided not to roll the dice with fantasy sports gambling. Whether you like the idea of fantasy sports gambling or not, Iowans should understand and appreciate that powerful forces are striving to take that right away from statehouses all across America. Las Vegas casino owners are attempting to eliminate the competition. Like a scene from the Godfather, a multi-million dollar campaign is underway to destroy these upstart fantasy sports gamblers. Will they sleep with the fishes by years end? Hard to say, but they have powerful enemies with well-connected friends in government. When New Jersey, Delaware and Nevada legalized online gaming for their residents, billionaire casino magnate Sheldon Adelson pledged to “spend whatever it takes” to override these laws. Rather than lobby the state legislatures and governors in these states, the big money donor and eighth richest man in the world turned to his friends in Washington to do his dirty work. The back room deal is alive and well. Adelson’s lobbyist drafted legislation that was soon introduced by none other than Presidential candidate Sen. Lindsey Graham. Adelson quickly held a fundraiser for Graham’s quixotic run for the presidency. I personally don’t gamble and I’m really tired of the commercials attempting to entice me to give fantasy sports gambling a try, especially since its illegal here! However, the issue is not whether I am against gambling for whatever reason, the issue is that the Graham bill is an assault on the Constitution. The Tenth Amendment limits the power of the federal government to certain enumerated powers and regulating state and local gambling laws is not one of them. Our own Sen. Chuck Grassley is a champion of the Bill of Rights and there is little doubt that this effort to outlaw the casino owner’s competition should be viewed with suspicion, if not outright opposition. As the Globe Gazette notes, Internet gambling and even online one-day fantasy sports sites are not legal in the Hawkeye State. Efforts to impose legalization of online gaming in our state should be opposed with the same principled vigor as efforts to outlaw it in other states. It is fully a state’s prerogative and should remain so until our Constitution is tossed on the trash heap of history. Hypocrisy on display for all to see. The biggest gambling states line up against internet gambling for the good of the people. The loudest opposition to fantasy sports comes from those who represent casino and gambling interests in Congress. Big surprise…Rep. Frank Pallone, who represents New Jersey’s Atlantic City, has shockingly become a leading critic. Likewise Senate Minority Leader Harry Reid, who protects Las Vegas’ interests in the Senate, is fond of pounding the table for a federal ban on Internet gaming and fantasy sports. The truth be told, millions of Americans participate in fantasy sports. The time has come for our state legislature to allow Iowans to participate. Our state is more than capable of ensuring consumer protection and perhaps regulation in the area. That is our argument to have under the golden dome in Des Moines. It should remain up to Iowans to decide how we want to deal with the issues of internet gambling, not big moneyed interests buying their influence in Washington.